Chinese Feng Shui home design and decorating ideas reflect the art of creating pleasant, relaxing and healthy homes to live in harmony with the world. The front door is a very important element of good Feng Shui home design. It allows the energy to flow freely into and through home interiors, bringing positive changes and attracting good luck and wealth. 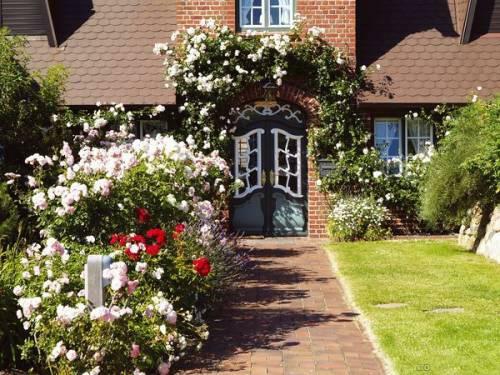 The front door and entry room are the first things people see when they visit your house. The entryway and door are the last things people remember, when they leave you home. According to classic Feng Shui, the front door and entry are the gate for the positive energy that enters your home. 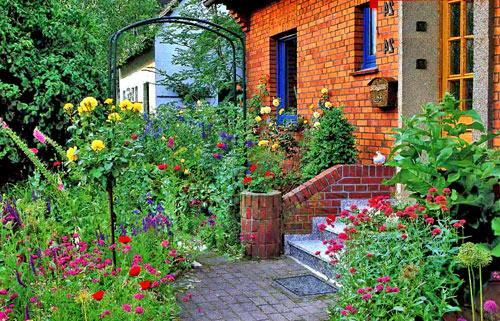 Good Feng Shui design of the front door and entryway invites positive changes and brings great opportunities. 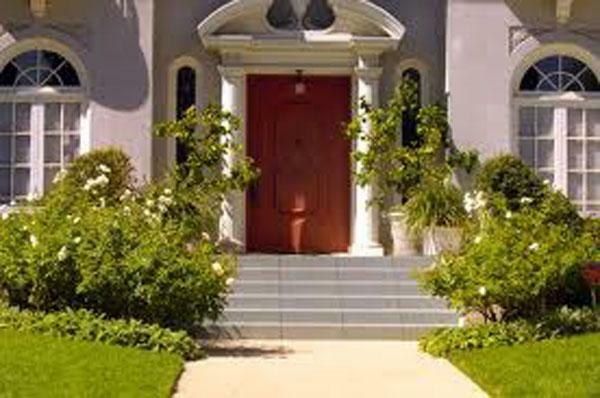 That is why front door and entryway decorating is an important element of good Feng Shui home design. Chinese Feng Shui practitioners believe that the front door and the entry room, located near the stairs or on the top of the stairs that lead to your home, is a bad Feng Shui sign. Although it is not possible to rebuild the house front and get rid of the stairs, the situation can be easily improved when people know how to Feng Shui their front door and entryway space. 1. If there are steps in front of the house, Chinese Feng Shui experts recommend to hang a small mirror or a shiny decoration on the front door to reflect negative energy back outside. 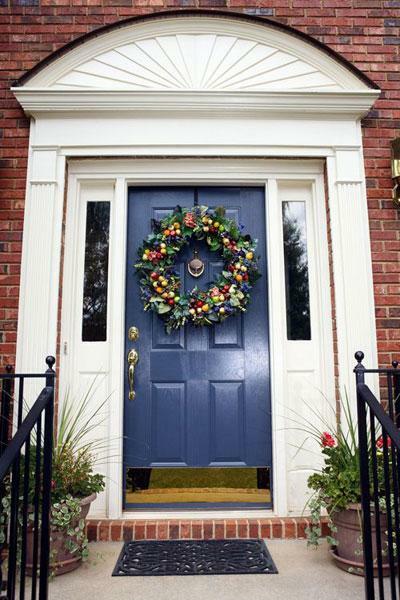 This is an ancient Feng Shui cure for the front door design and decorating. Entryway decorating with a mirror protects the house and open the symbolic gate for good luck. 2. Good Feng Shui home design includes entryway decorating with old golden coins and bells. Feng Shui cures should be hung on the front door handle. 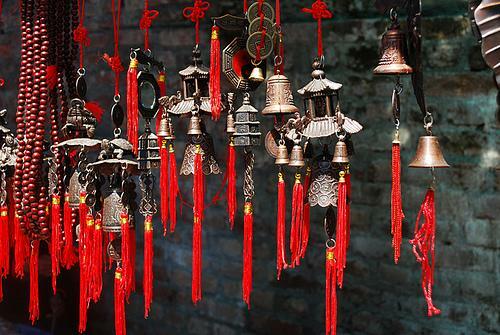 According to classic Feng Shui masters, golden Chinese coins and bells attract money. This easy Feng Shui method will protect your house. You do not need to hang old coins and bells on each door handle in the house. Feng Shui front door decorating accessories protect the entire house and all members of the family, Chinese Feng Shui teachers explain. Ideally, when people enter the house they should see only living room, dining room or family room interiors, not bedrooms, your home office or kitchen. It is a bad Feng Shui sign, if personal living spaces are seen from the front door. 3. Good Feng Shui placement of an eye-catching object in the hallway or entryway is an effective Feng Shui cure that helps redirect the visitors attention from personal spaces to the bright decor accessory and improve your entryway design. 4. Also classic Feng Shui instructors advise to keep the bedroom, kitchen and bathroom doors closed always, creating more privacy in Feng Shui house. 5. Good Feng Shui home decorating can not be achieved without keeping the entryway and hallway in order. The front door and the entryway design need to be clean and free from clutter. Feng means the movement of the air that can freely travel only through free of clutter home interiors. 6. Select pleasant pastel colors for the entry room decorating, light colors are good Feng Shui colours for your entryway. 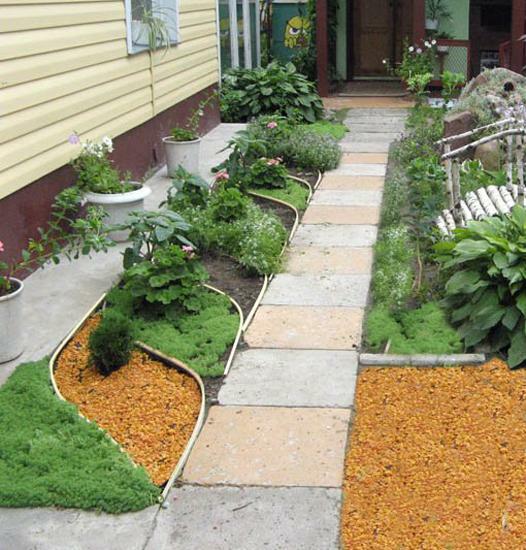 Then purchase a door mat that matches the front door colors. 7. 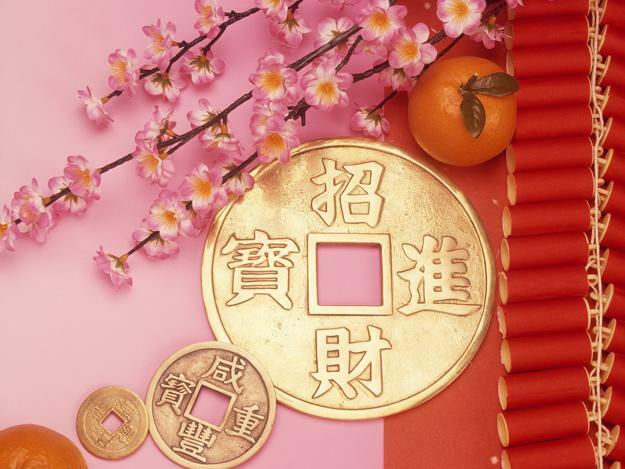 Classic Feng Shui masters advise to hide three golden coins under the mat to attract good luck. Brass is suitable also, because Feng Shui colours are more important than the material. 8. Decorating color schemes for the front door, entryway and hall interiors, that include only one color, is not a good Feng Shui choice. Home decor should be color balanced in Feng Shui room, so include matching colors with decorative items, lighting, wall paint color, Feng Shui pictures, shoe storage furniture or closet painting, wall decorations and floor rugs to create good Feng Shui design for the front door and balanced entry decorating in accordance with classic Feng Shui principles. 9. If the hallway and entryway interiors are too dark, the positive energy travels too slow. Dark colors are not suitable for good Feng Shui front door and entry decorating. Bright room painting, that forces the positive energy to rush through the space too fast, is a bad Feng Shui room decorating choice. 10. 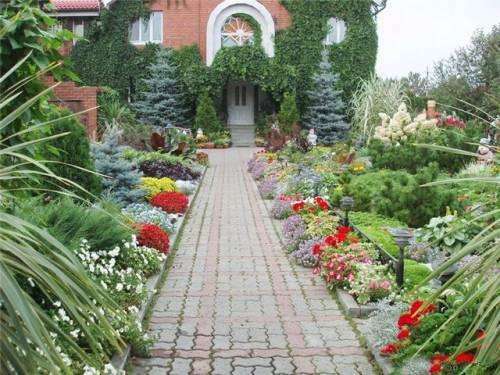 Light Feng Shui colors, green house plants and soft lighting are good Feng Shui house design elements, that create pleasant and welcoming the house front door and entry decorating. 11. The house front should be well lit. 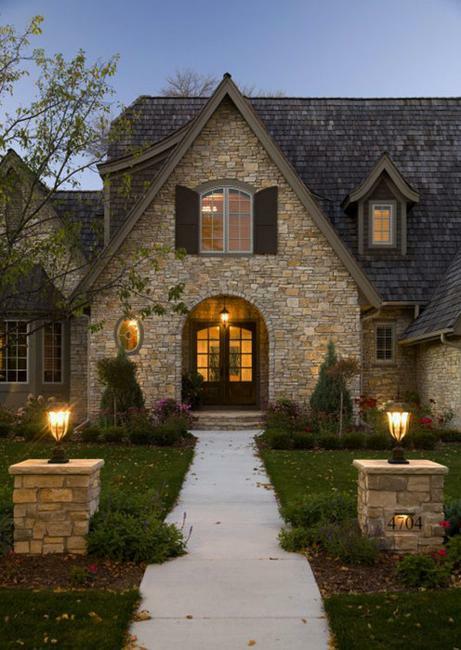 Decorating the front door and entryway with efficient general lighting fixtures and sconces or lamps for beautiful accents helps to Feng Shui the front door and entryway designs. 12. If the entryway still feels too dark, simple Feng Shui decorating with paint in light colors solves the problem. 13. Then hang Feng Shui pictures in rectangular and oval frames to create interesting and attractive decor and to Feng Shui the entry room. 14. If your hallway is long, hang Feng Shui mirror to decorate the wall and to Feng Shui. Feng Shui mirror adds soft round curves and reflects the light, balancing the hall proportions and creating the movement effect that helps the positive energy flow. 15. 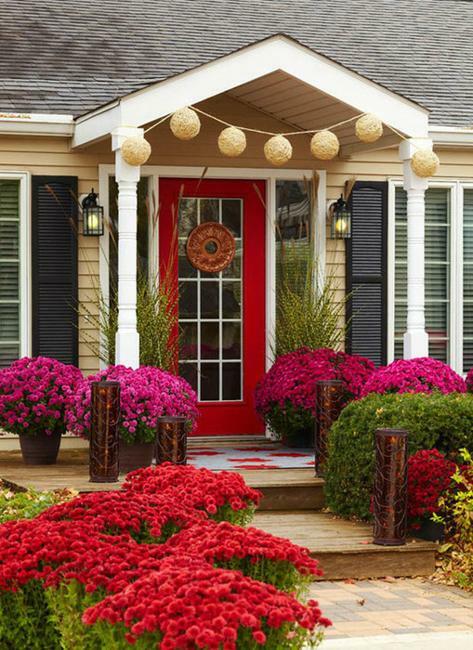 Beautiful front yard decorating add to the appeal of your front door and entryway designs. Called Feng Shui music of the wind or the whisper of the time, Feng Shui wind chimes and bells, a clock or a small Feng Shui fountain with running water create nice background sounds and improve the energy flow through home interiors also. Positive energy comes into the house through the front door, and good Feng Shui decorating helps it flow freely through all home interiors. To Feng Shui the front door and the entryway designs means to create a welcoming and spacious, light and comfortable interior decorating. Open and inviting Feng Shui design allows the positive energy to bring exciting changes, balance and harmony into it.